Mounted with escape windows for high power application. Aperture up to 20 mm. 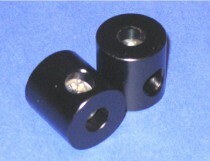 Housing OD: 1" (25.4 mm), 30 mm, or 38.1 mm.